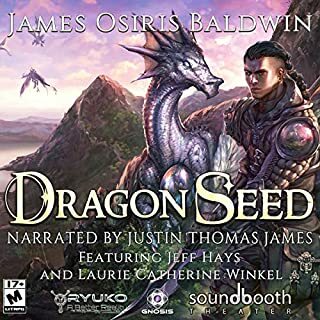 I really enjoyed Dragon Seed, the characters were well written and it had emotionally charged situations. I feel like it ended at a good place, giving closure but still leaving the listener wanting more. There wasn't much interaction with the real world, save for the beginning, but what there was of it was good. I liked the use of sound effects and background music at critical points in the narration. This was an interesting story which took a unique approach to the genre. It takes place in the real world, and the MC alone has the capability to level up. Even so, there are no monsters to fight, he levels up based on social interactions. it was enjoyable from start to finish. The narration was spot on and a good match for the story. 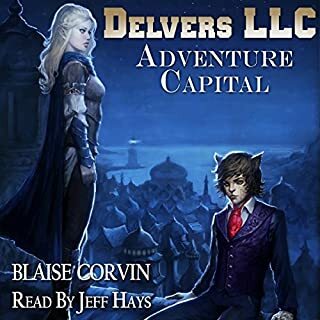 One thing I really appreciate about the Delvers LLC series is the quality of world building. the cultures of the natives of Ludus are well written and unique. I enjoyed the story and am interested to see where it goes from here. the narration was top notch as well. Fair warning, there is a very small amount of torture, which I didn't really enjoy, but to each their own. 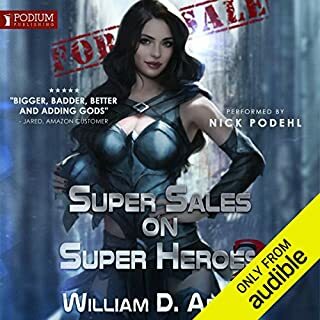 I enjoyed Super Sales book 2 from start to finish. the characters were interesting and the MC managed to be relatable despite being amoral. the narration was well dont and fun to listen to. I enjoyed but the writing and the narrator's performance. 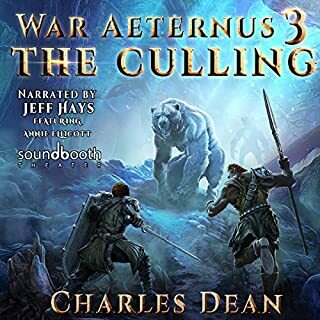 I can highly recommend this audiobook. All Hail Augustus, the God of Alcohol and Crafts! 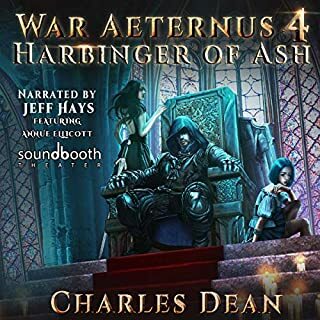 The fourth entry into the War Aeternus series takes on a much darker tone. The protagonist, Lee, has changed so much from the cowardly person he was in the first book. Jade is still my favorite character in the series, her non-stop anime and video game references serve as a humorous counterpoint to Lee's more serious tone. Soundbooth Theater did an amazing job, as always. The use of sound effects was a good decision on their part, and Jeff Hayes's performance of Jade was enjoyable to listen to. I had a good time listening to this. I loved some of the characters, the quirky wizard was hilarious. 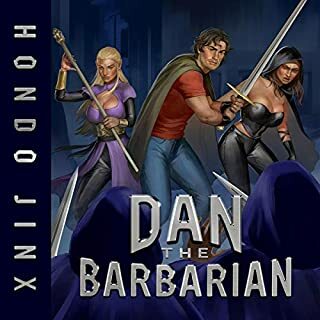 There is a harem element, and while I don't normally go for that sort of thing, that aspect didn't get in the way of the story. The protagonist experienced actual character growth - when the story ended, he was a different person than he was at the beginning. To me, that is a mark of good writing. I also enjoyed the world building, and I'm interested to see where this goes. I'll certainly be listening to the next audiobook in this series. I enjoyed the narration as well, Andrea Parsneau did a brilliant job as always. Different characters each had their own unique narration styles. I was pleasantly surprised by how much I enjoyed this story. I found myself caring about what happened to the different characters. The story is original and turns the post-apocalyptic gamelit genre on its head. Ramon De Ocampo did a great job narrating this. I think he was a good pick for this story. 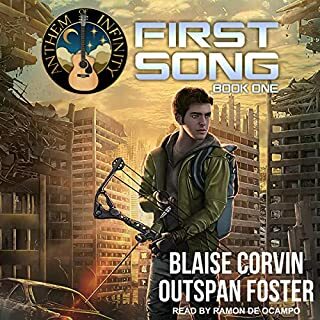 This is one of Blaise Corvin's best works. Highly recommended. Somnia is evolving, and Murmur is confronted with enemies both old and new. She must lead her guild, Fable, through a dungeon filled with riddles and puzzles to claim the first of 12 keys required to achieve victory. But things are not as they seem: Glitches abound, enemies rally against Fable, and unexpected threats move in the shadows. 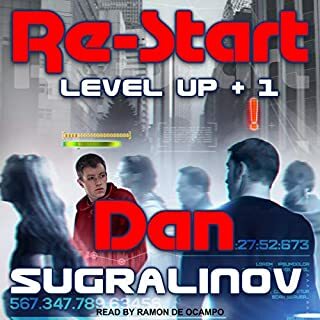 As the system becomes increasingly complex, Laria and Shayla battle through mismatched coding, and Storm Corp discovers they’ve left some anomalies in the game out of their reports. Anomalies like Wren. 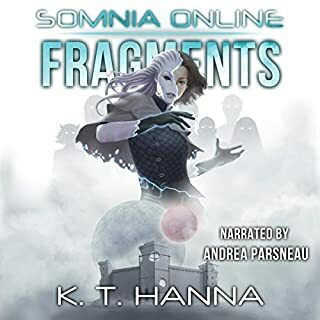 I enjoyed the third book in the Somnia Online series, and I'm looking forward to discovering where this story will go next. Andrea Parsnaeu did a fantastic job, as always. Loved it - Can't wait for the next one! 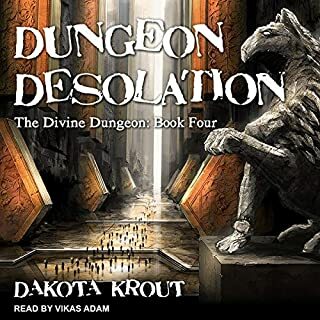 I enjoyed listening to the fourth installment of the Divine Dungeon series. There are several points of character development and both Cal and Dale experience a good amount of character growth. I'm very much looking forward to the next installment. The narration was top notch - as always. I love Vikas Adam's Cal voice and his somewhat screechy Dani voice. He certainly brings the characters to life.